The scavenger update of the game is finally out, it will also contain a lot of the issues mentioned by the community. The major area of focus in this update was the addition of the Radioactive cities and radioactive suits. You will now be able to craft hazmat suits, which will allow you to explore parts of the city with heavy radiation. You will be able to get a lot more rewards from the buildings in that area since they will mostly be untouched by civilians. Apart from this we've added a few mini games to which will reward you for successfully completing certain tasks like driving the train, chopping wood and lockpicking. As far as the fixes go we have made crafting a lockpick easier for the players, the balance for the food has also been fixed. The drop rates of iron ores have been increased so you can craft iron ingots and upgrade the train to have more passengers, improve fuel efficiency and most importantly the inventory spaces. Finally we've also reworked the inventory system to support more stackable items in it. We noticed that a lot of the players had an issue running out of space in the inventory. Adding stackable items will allow the players to have more items at their disposal in their inventory right from the get go. However we made sure that making this change didn't really affect the balance of the game. Our team is hard at work on the next major update which will be focussed on exploration. We can't for you all to try it out. If you have any other features you want us to add please don't hesitate to get in touch with us at hari@smashgamestudios.com or in the discussion boards. We would love to thank all of you for supporting us on this journey. We can't wait to show you all the surprises we have coming to this game. 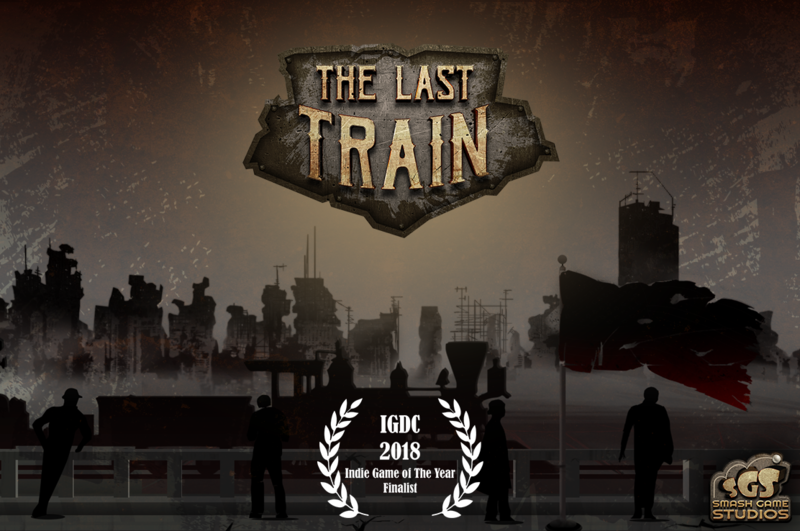 The Last Train was also nominated for the IGDC Indie Game of the Year 2018. The scavenger update of the game will be launching on the 11th of December it will also contain a lot of the issues mentioned by the community. The major area of focus in this update was the addition of the Radioactive cities and radioactive suits. Our team has already started work on update 1.2 which will feature more new passengers and add more features which will make the game interesting for the user.